A 75-year-old mother with a broken arm, dragged to safety over three days. Pregnant women on the run, giving birth on the side of the road. A five-year-old girl scarred by an encounter with a military vehicle, sleeping on a dirty hospital floor. These are only a few faces and devastatingly horrific stories of the Rohingya refugees escaping persecution in their ancestral home of Myanmar. They face almost unimaginable threats to their health and safety. 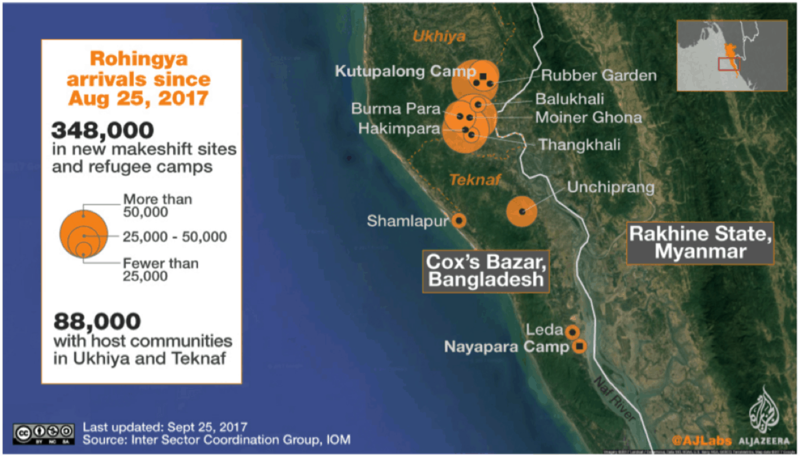 And as they flee to overcrowded camps across the border to Bangladesh, the Rohingya are at ever greater risk of major disease outbreaks. The Rohingya are a persecuted Muslim ethnic group from overwhelmingly Buddhist Myanmar. Myanmar’s government has denied citizenship to Rohingya since 1982 and has periodically attacked their communities. 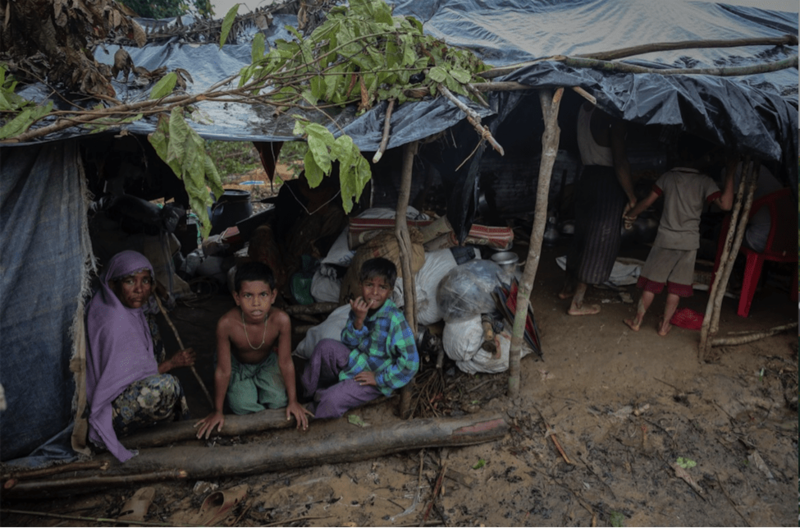 Since 2016, Myanmar’s military has expelled thousands of Rohingya with the help of Buddhist mobs, allegedly in response to attacks by a Rohingya nationalist militia called ARSA. The flood of refugees accelerated after the latest ARSA attack and subsequent military crackdown in August 2017. Over 480,000 refugees have fled over the border to Bangladesh in the last month alone – 60% of them children. Source: Al Jazeera, “Rohingya crisis explained in maps.” September 25, 2017. Flooding and limited shelter expose refugees to a booming mosquito population that can spread malaria. Widespread malnutrition will exacerbate risks of acquiring both diseases. Doctors Without Borders/MSF: The respected medical relief organization has an extensive presence in the Kutupalong refugee camp. Global Giving’s Rohingya Refugee Relief Fund: The highly-rated charity is collecting funds to build clinics and field hospitals. UNHCR: The UN’s official refugee agency is a major clearinghouse for aid to the Rohingya and other displaced people around the world.